The Imperial Histories pulls back the curtain on many tumultuous eras of the Emerald Empire. Revealing not only the glories of the Rokugani, but also their failings and tribulations. Providing a wealth of information for players and GMs alike, this tome serves as a resource for playing in various times of the Empire, or bringing elements of those times to your characters and campaigns. 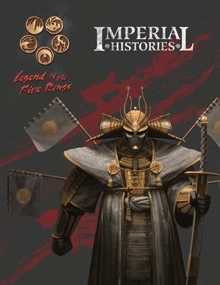 Legend of the Five Rings: Imperial Histories is available at RPGNow.com.